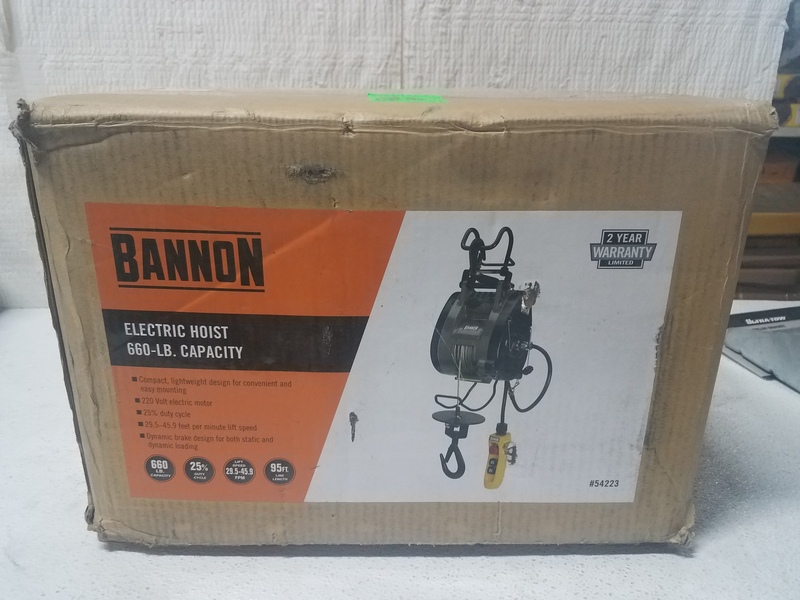 This Bannon Compact Electric Cable Hoist is a lightweight compact hoist that can operate on a standard domestic power supply. 25% duty cycle performs tough jobs without excess stress on the motor. 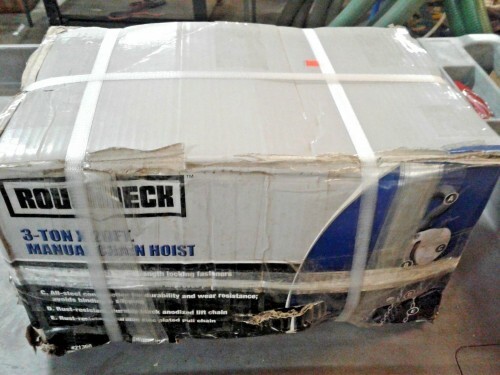 Galvanized wire rope comes with a safety-latch weight hook. 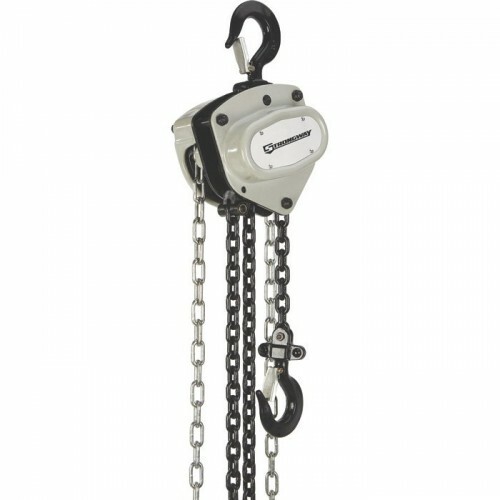 This hoist includes both an upper and a lower hoist limit switch for additional safety. 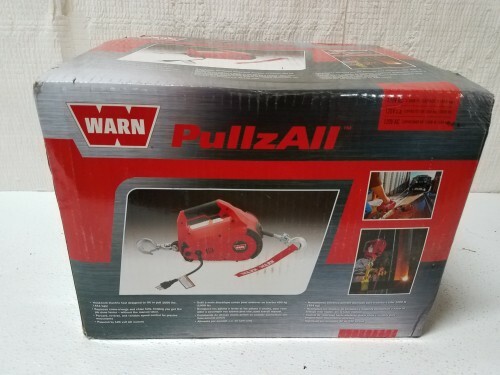 When the rope reaches the limit arm, hoisting is automatically stopped. 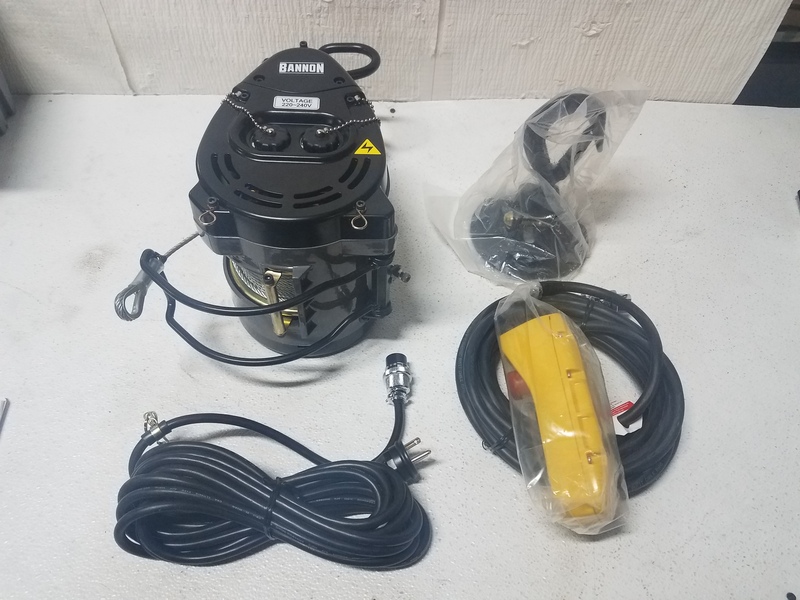 A sensor arm automatically stops the motor if the wire rope is underwound. 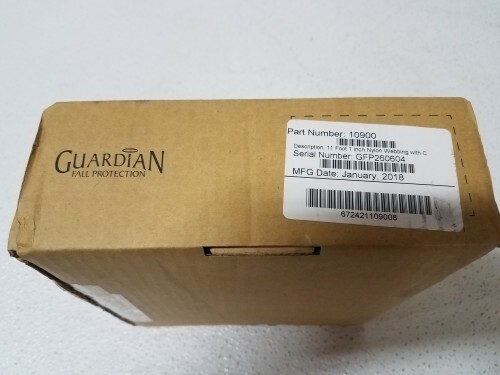 Motor brakes are electromagnetic; gear brakes are mechanical. Double ratchet pawl design provides safe, instant braking. 95ft. rope. 22.9ft. power cord. 1983-lb. line pull; 29.5 to 45.9 FPM line speed. 29.5 to 45.9 FPM line speed.